Dildora is 29 years old. She considers herself an egoist because she never asks anyone for advice and likes to do things her way. She is grateful to her husband that he puts up with it. She has three sons and her husband works in Russia. She loves to read books and loves music very much. 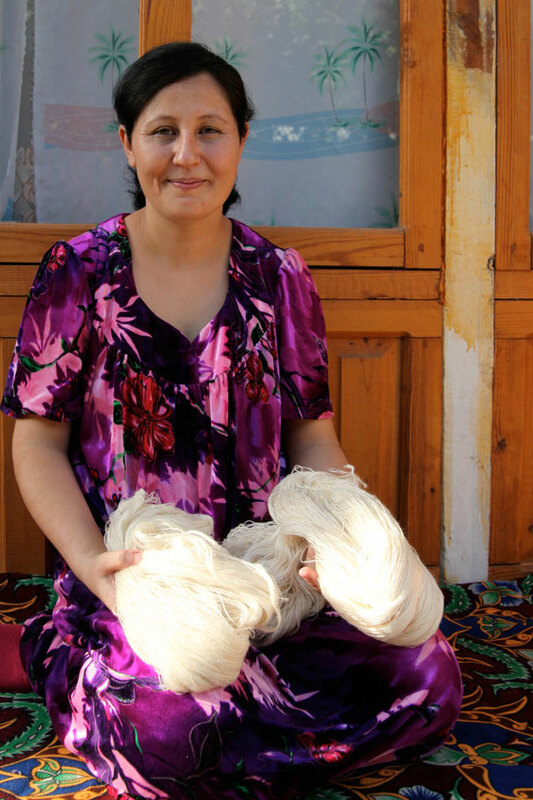 She worked at the school before and now she works at the spinning workshop. She is an excellent spinner and spends her earnings on food and clothing for her sons. When she goes to the workshop she leaves her children in the care of her parents. She loves spinning and hopes that their group will grow and prosper. She also hopes that her family will be one of the happiest families in her village. She would love to travel to Paris, Korea and America. In the future she wants to give her children a good education.